Barking Rabbits: We are all Cthulhu now. 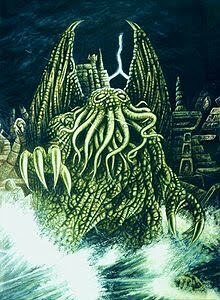 We are all Cthulhu now. I think we have hit fifth gear on the crazy bus. Wellpoint Executives are soulless ghouls. Where's Buffy when you really need her? Dramatic photo of Eyjafjallajokull volcano. People with an alternative reality.